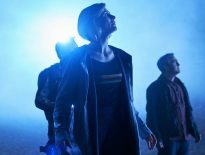 Former Doctor Who showrunner Steven Moffat says the series could end up looking cheap when compared to its big budgeted Netflix rivals. 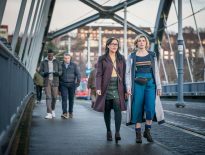 Speaking to the Sitcom Geeks podcast (via Metro), Moffat said that with the kind of money Doctor Who makes for the BBC, more of that revenue stream should be funnelled back into the show. “That’s the big challenge of Doctor Who now… running the risk of looking as cheap now as it did then, compared to what the rest of TV is doing, unless they put a whole lot more money into it. “Television didn’t use to look the way it looks now. When we watch now, we watch something that’s quite often better than cinema. One of the highlights of the current series of Doctor Who is the outstanding eye-pleasing visuals. The show has never looked as good and, even if it is not getting the budget it deserves, every cent of that has gone into making the show look like a million dollars. Doctor Who continues this Sunday with Arachnids in the UK at 7 pm on BBC One.